Two of the biggest jobs of the staff at this hospital are the treatment of AIDS patients, and the Palliative/Hospice care they provide for people in the region who cannot get to the Hospital. Large parts of the Hospital are reserved for clinics which are open on Monday and Thursday each week. 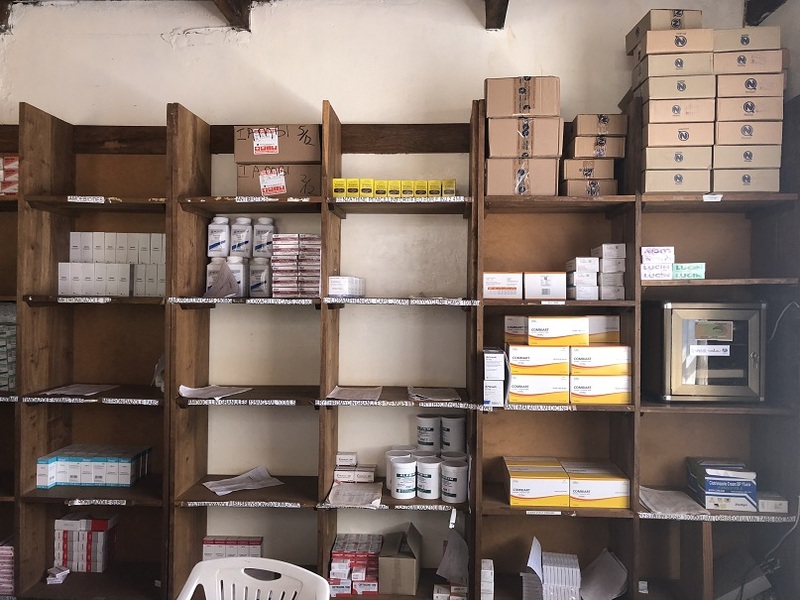 These clinics are visited by people who need to come in for a recurring examination, and who then received their next month's medications. By far, the largest users of this clinic service are AIDS patients. The hospital's clinic treats over 450 AIDS patients this way each month. The Palliative/Hospice care from the hospital deals with even more patients, and they do it remotely. That is, they bring medicine to dying patients in the patients' homes, which can be very far away from the Hospital itself. The Palliative care staff use volunteers to reach over 900 patients a month, some of who are in the final stages of cancer, but the vast majority of whom are AIDS patients who are at the end of their lives. This is very important work, and you would not see it just by visiting the hospital on an ordinary day. Thankfully, the staff were there to tell us about it. I'll continue on, now, as we start our visit, entering the Hospital. The first thing we always (always!) did when visiting a new location was to sign the guest book. I have not written of it until now, but it needs to be mentioned. It is clearly part of their culture, and it's related to the strong sense of welcome and hospitality the Tanzanians have. Each guest sits down in the main office of whatever institution they are visiting, and signs the guest book. Once the signing was complete, the tour of the facility began. 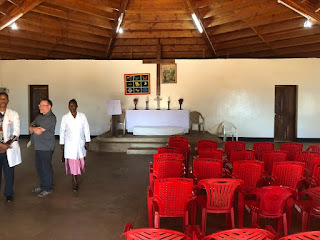 We first saw the main administrative office, with the copier that doesn't work, then we went to Pastor Msengi's office for another short sit-down greeting, and then the tour continued in the main pharmacy store room. Well organized (with several boxes which had yet to be unpacked) the store room had space for much more than it held. The pharmacist who showed us around, who is Pastor Msengi's son, explained that many of their drugs are in far too short of supply. 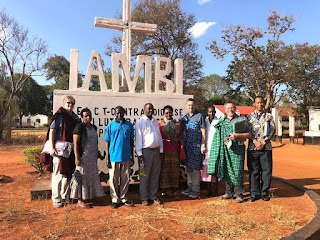 Before I continue, let me talk a bit about the Iambi Hospital's relationship with the ELCA MN South. Zumbro Lutheran in Rochester is a partner with the Hospital. 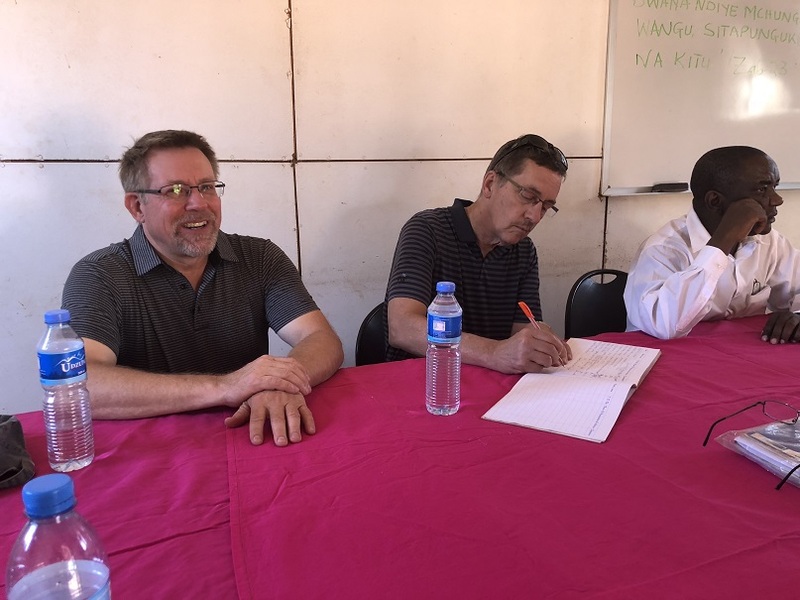 Just as Mount Olive has a focus on Education in our Tanzania partnerships, Zumrbo has a focus on Health Care. Consequently, as we took this tour, Zumbro kept coming up as a very important partner. I'll mention them specifically a couple more times in this entry. 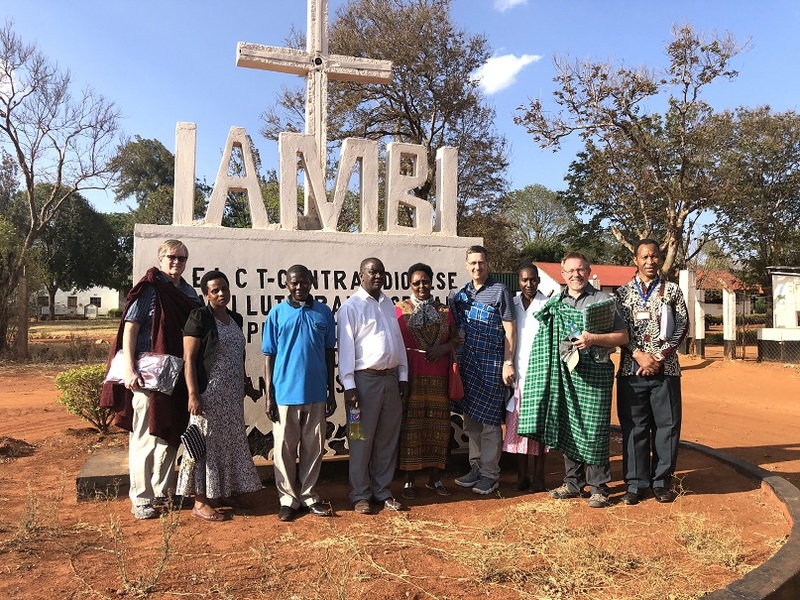 We, as representatives of Mount Olive, were very happy to see what is being done at Iambi Hospital, but it's the Zumbro congregation which has done so much here. 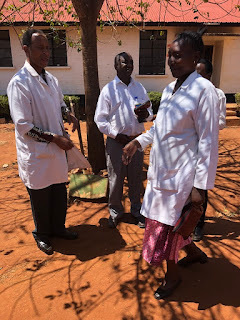 Pastor Msengi was clearly thankful for that support, but was also intent on showing us where the Hospital's challenges existed. One challenge, in particular, relates to the patient records. All records are paper records, and there is not much room to store them. 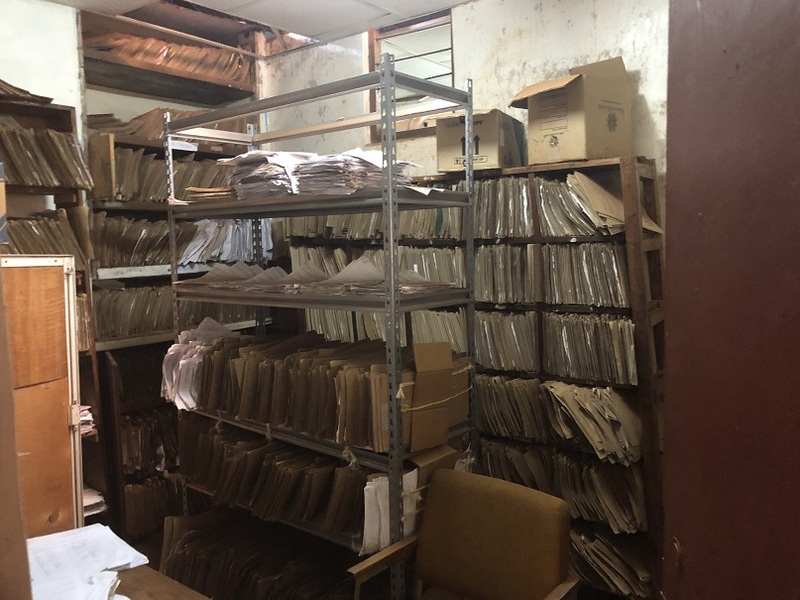 One of the big projects Iambi Hospital wants to tackle is creating a paperless record system. 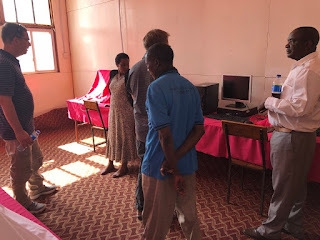 They even have a proposal from the same company which does the paperless system used by the Arusha Lutheran Medical Center, and they showed it to us. I imagine that Zumbro has already been shown this, but we will check with them to make sure. 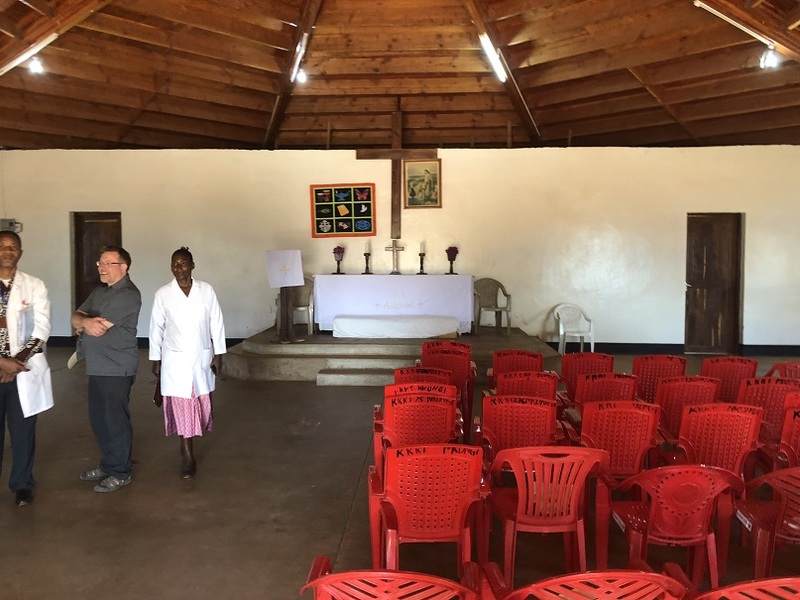 As one might expect, since this is a Lutheran Hospital, the campus has its own chapel, which is used every weekday morning for devotions before the day of work begins. 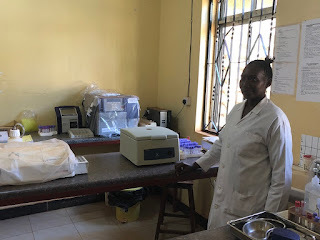 Our tour continued with another storage room (not pictured) which also contains equipment which will be sent out to the dozen or so "dispensaries" in the region (places where people can pick up medicine or have basic tests conducted without having to travel as far as Iambi Hospital) and then we visited the lab, where blood is analyzed. We also saw the room where the new X-Ray machine is going to be installed. 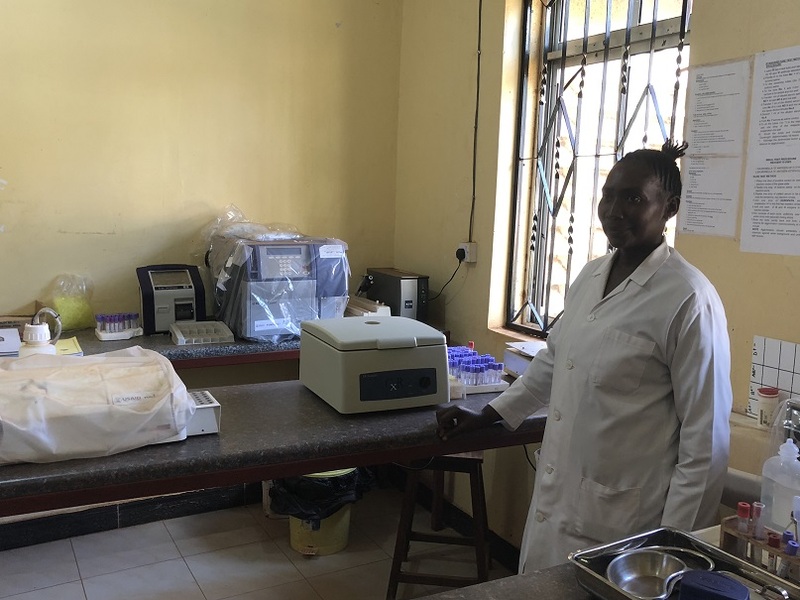 Zumbro purchased a new X-Ray machine for the Hospital, and it was delivered in May. 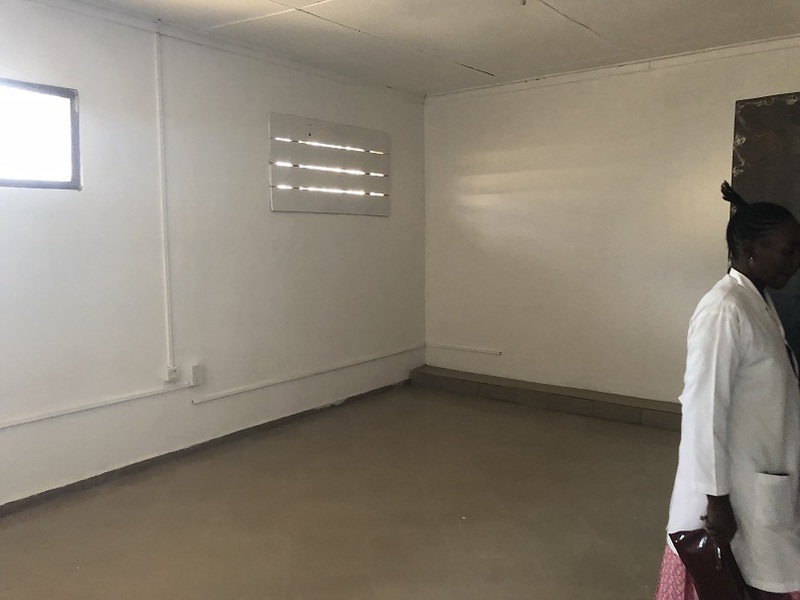 A room needed to be completed for the use of the X-Ray, and it is now complete. Later this year, a qualified technician will install it. 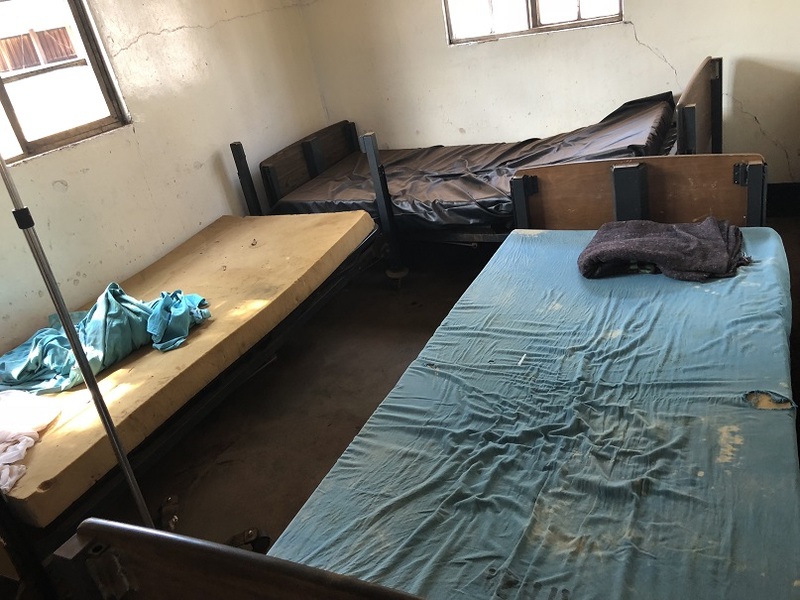 Another way Zumbro is supporting the Hospital is providing new beds for many of the rooms, including the pediatric ward shown below. 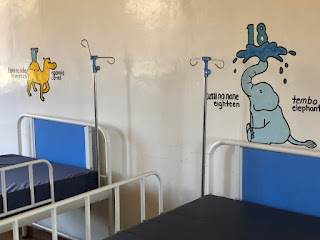 Decorations on walls are hardly ever seen, but the pediatric wards was very nicely decorated. To show us how important the new beds are, the staff also showed us some of the old beds which are no longer in use. 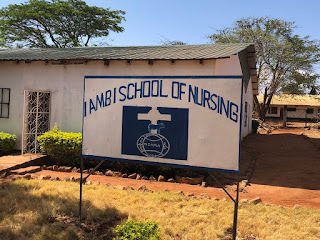 Connected to the Hospital, and on the same grounds, is the Iambi School of Nursing, which we also visited. Compared to other schools we visited, the library at the Nursing School was well stocked. Still, compared to what we'd expect in the U.S. and what their students could really use, it was lacking. 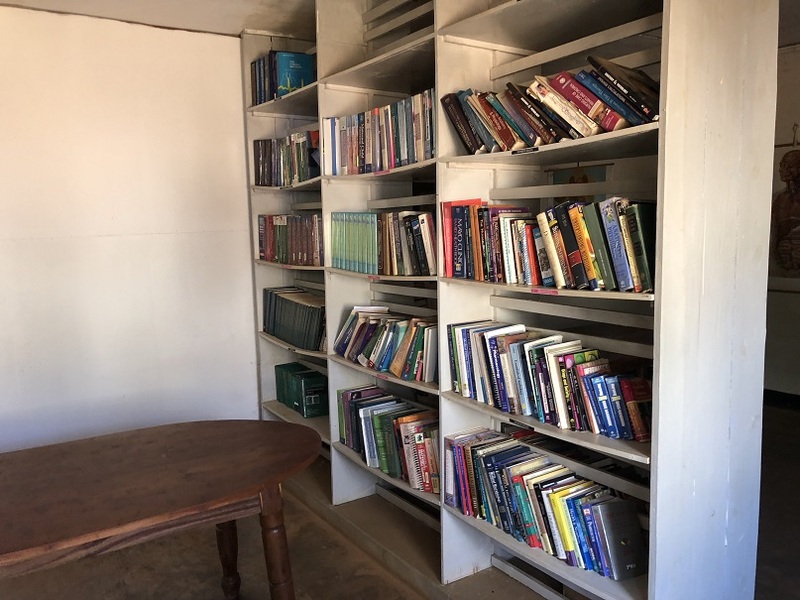 This private school, like others in the country, face many "roadblocks" put up by the government. I mentioned some of the kinds of roadblocks faced by private Kindergartens in my post about Ikhanoda. For a nursing school, the government requires that there be sufficient computers, connected to the internet, to serve all of the students. 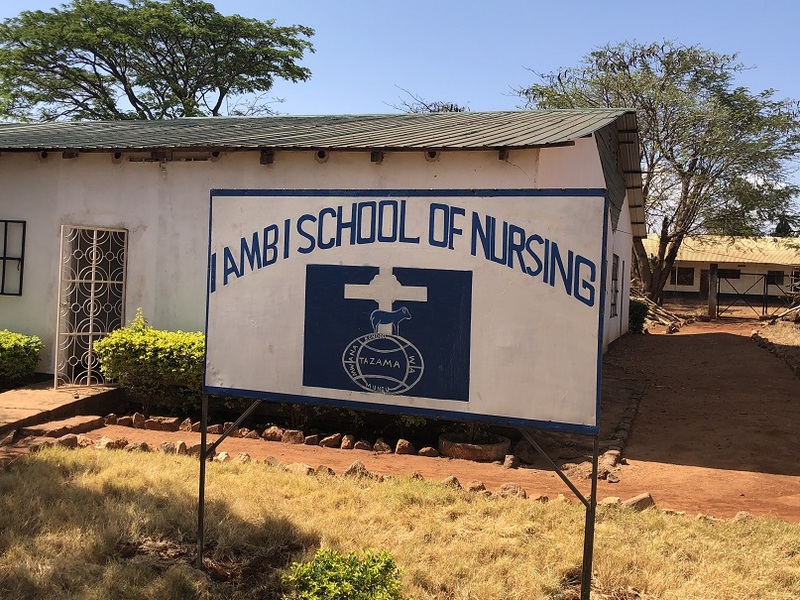 This is a big roadblock for the Iambi Nursing school, because they only have a few computers, and none of them can connect to the internet, because the school and hospital do not have a cabled connection to the internet (very few places outside of large cities do) and they don't have a satellite or cell-phone set up either. 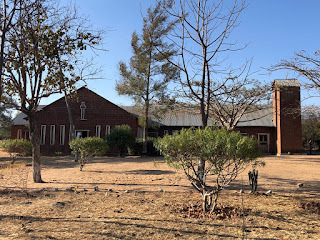 The school also does not have enough teachers, though the staff said that would not be a problem, if they could get the computer situation dealt with. Due to their inability to quickly react to these new governmental regulations, the school's enrollment has dropped dramatically. They will be graduating a class of 20 nurses later this fall, but they only have 3 students enrolled for their next class, so far. It is a big challenge. We were glad to have visited this hospital, and nursing school, and we appreciate the welcome we received. This particular visit was not one we requested when setting up our itinerary, but since it did get added to our plan, we now know more about the challenges facing the Tanzanians, and how the Lutheran church is trying to help them.